When inspecting pears, especially the summer and fall varieties, such as Bartletts, you may come across different types of scarring, ranging in color and in size. The affected areas may be smooth, or they may be slightly rough to rough, to the touch. The discoloration may range from a light brown color to a dark black. 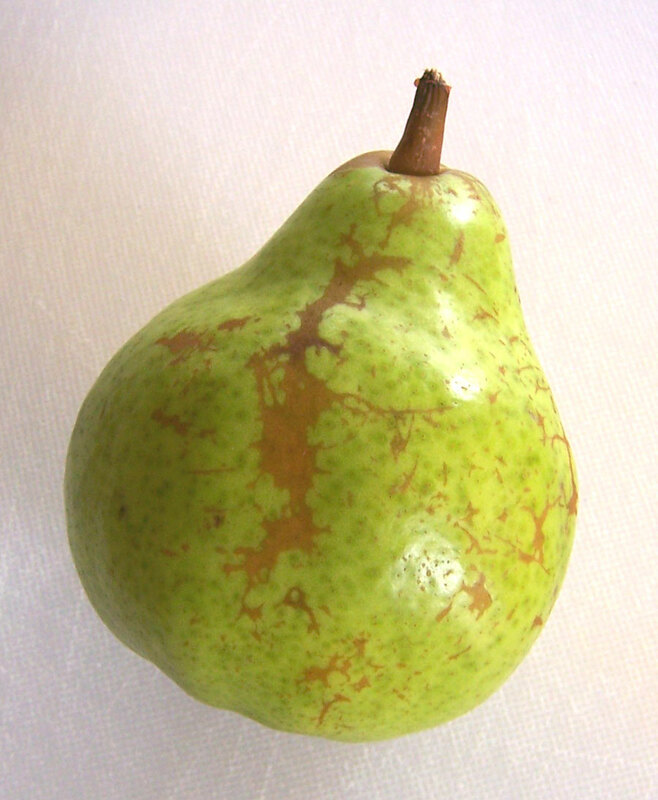 The image above is depicting a pear with typical scarring. This type of discoloration will not get worse, meaning the area of discoloration will not increase in size, and the color will not change. This scar is considered a quality defect. There is a type of scarring you need to be more concerned with. 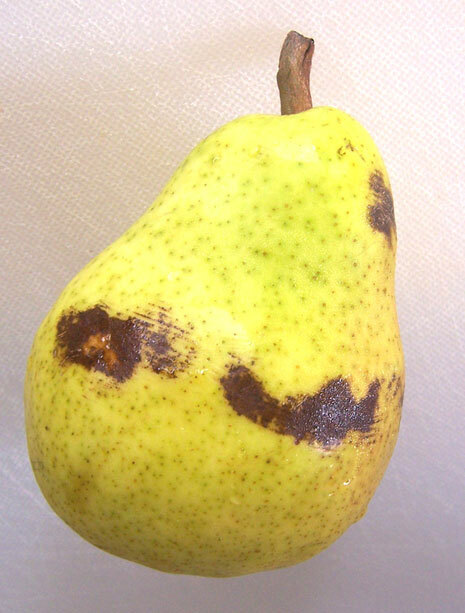 The summer and fall varieties of pears are very susceptible to discoloration affecting the skin of the pear. During the packing process the pears are handled with care, trying to avoid having the pears rub against each other while packing or on the grading line. The discoloration may range in color from a light brown to black. The discoloration will appear wherever the pear may have been in contact with other pears, rolling along a grading line, or movement within the carton during the shipping process. Determining the exact cause of this defect is difficult. This discoloration is called “dark skin discoloration” by the USDA Inspection Service. It is a condition defect, meaning the area affected may increase in size and the discoloration may become darker in color. if the discoloration is dark brown to black in color, score as damage when the affected area exceeds 3/4 inch in diameter. The defect is scored as damage or as serious damage, against the 10% and 5% tolerances for each.